Outback Wing Chun South Australia Branch offers true Ip Man family lineage training, we are recognized in the "Wing Chun Ip Chun Genealogy Book". We teach Wing Chun like Ip Man used to teach his students, learning the 9 principles of Wing Chun with the focus on Cultural Exchange through the ART of Wing Chun. 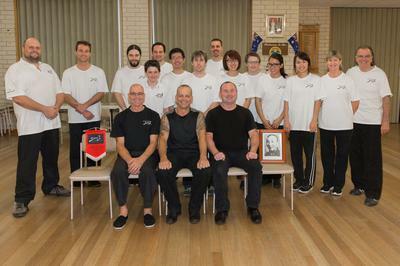 The Kwoon in South Australia operated by Sifu Pete is family orientated and run in a truly traditional way, where respect is placed in its highest level and students train and grow together as brothers and sisters.